lil' grips™ are soft and stretchy silicone handles. ​The patent pending one-size-fits-all design is easy to use, easy to clean and guaranteed to fit! Adds handles and doubles as the perfect teether on the go! Tiny hands love these helping handles, to hold their bottles, juiceboxes or favorite cups. 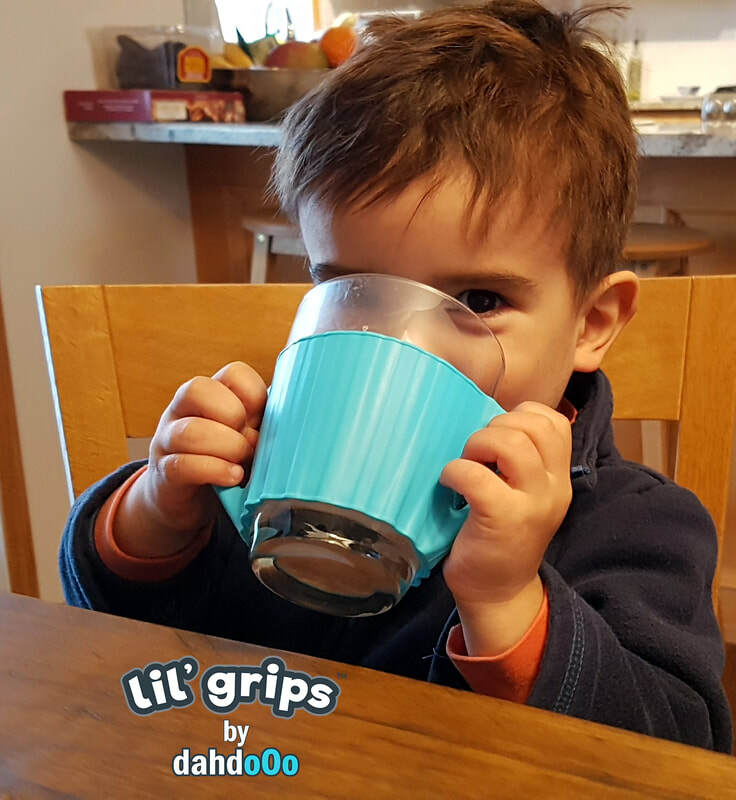 ​We invented lil' grips™ to give your little ones a helping handle on ALL their bottles, cups, juiceboxes, feeding pouches and more! Small and simple with a big impact for tiny hands.